Save up to 40% on electricity costs with solar energy for your facilities. 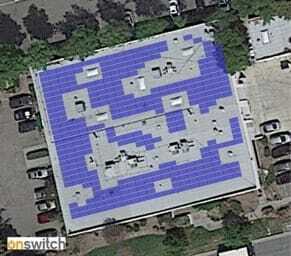 OnSwitch has developed a new, fully digitized way to buy solar for your building portfolio. Using aerial imagery and our connected marketplace, we can generate accurate, ready-to-buy quotes in 24 hrs or less. We’ve created a free quote for all EEI attendees. If you’d like a quote for multiple facilities, contact us to get a demo of our enterprise solar portfolio planner at EEI. Sign up to get your free quote & contact us to set up a time to meet at the conference. Yes, contact me about meeting for a demo at the EEI workshop.